Sprinting legend Usain Bolt has passed the finish line for the final time in a sensational record-breaking career. 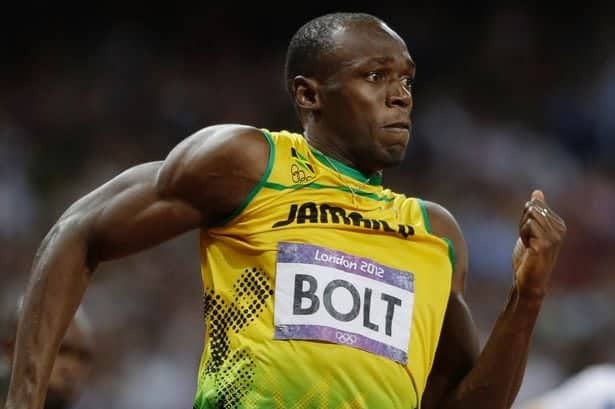 Bolt is the fastest man ever to burn up the track and one of the greatest sportsman ever. His achievements are breath-taking – the first man to win three 100m Olympic titles, world record holder in both the 100m and 200m and a winner of 23 major gold medals. At 30 years old, the six-foot-five tall racer has an unimpeachable sporting legacy. There’s no one among Usain Bolt’s peers who will storm to victory with the same power and verve he demonstrated again and again on the world stage. “The idea that you have an athlete who’s the best there’s ever been in the sport, who just happens to have an electric personality as well,” said Michael Johnson, a four-time Olympic gold medalist. “You’re not going to replace that. The name Usain Bolt dominates the record books and will live on throughout the history of the sport. The crowds that have cheered him to gold are unlikely to see his like again for decades. Bolt soared from humble beginnings in Jamaica to superstardom. Like boxer Mohammed Ali and soccer star, his personality off the track was as appealing to fans as his performance to streak ahead of all-comers to lift the crown as a sporting legend. Athletics will be poorer without Bolt. Less entertaining and less competitive. No doubt other sprinters will shave tenths of a second of his records, but they will lack his style and panache. Bolt was the supreme athlete over a decade and a showman to boot. He may have steered away from the political stance of Ali, but his performances touched the hearts of millions. Bolt has told anyone who will listen that he is legend. But his bragging was true. “I feel that if you have done something, it is not bragging,” he has said many times. Even as the years caught up with his performances, with more frequent injuries and a slowing speed, he had the inner confidence to stay better than the rest. So farewell Usain Bolt. A legend, hero and entertainer.